The white Nexus 4 has returned! Thanks to a new set of photos of the device posted by a Google+ user this weekend, the tech media world now thinks we are guaranteed to see this variant at Google I/O next week…with LTE…and 32GB of storage. While that’s certainly a possibility, the guy that purchased this is not some Google insider nor does he appear to have any knowledge of this device actually having anything to do with I/O. No, he bought it from a local “buy and sell website” while trading in his black Nexus. That’s it. He didn’t sneak one out of a back-alley I/O truck session or have lunch in a dark room with Larry Page. He bought it locally. 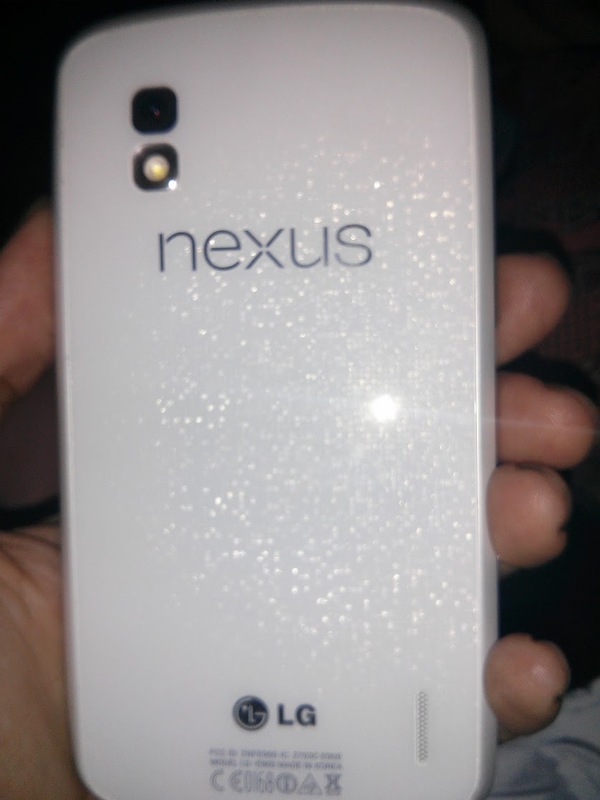 But hey, it’s the white Nexus 4 again! Boy, do I wish I had one. Since first popping up back in late January and then re-appearing through a lengthy hands-on session, we have been crossing fingers, hoping for some sort of white N4 announcement from Google. Here we are four months later, and nothing has happened on that front. We should point out in the past that Google has handed out special edition Nexus devices at Google I/O (like the white Nexus 7), which is happening this week. However, this is not a sign that attendees are getting one. This is just a lucky Android lover who found one at his local tech shop.